With the KPro4 it is possible to use the 2002-2004 RSX base auto ECU. This will only work for engine swaps. The auto PND ECU processes vehicle speed from a sensor on the automatic transmission. The K-Pro 4 has an input to process vehicle speed. 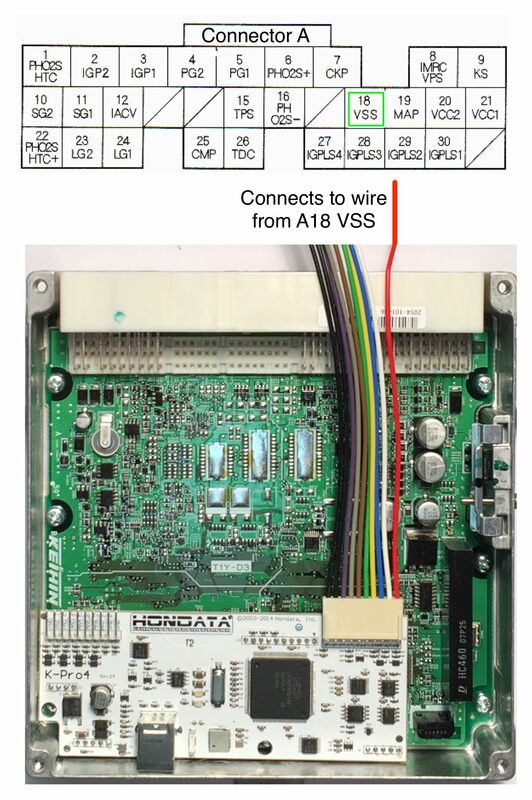 When the auto PND ECU is used, the VSS signal wire must be moved to the K-Pro4 board to process. De-pin wire A18 VSS (typically white/green) from the RSX wiring harness. Connect to KPro circuit board patch harness input VS. The wire is typically red and marked on the KPro circuit board. Under Misc in KPro parameters use a starting value of 2485 for pulses per km. This will vary depending on your gear ratios and tire size. Why use the base auto ECU? These ECUs are now very inexpensive - less than $50 in many junkyards. Good MT ECUs are becoming harder to find, so this gives more options for your vehicle build. Can this be used with the RSX automatic transmission? No. We install the manual transmission code into this ECU. Can this be used with in a 2005-2006 MT RSX? No. 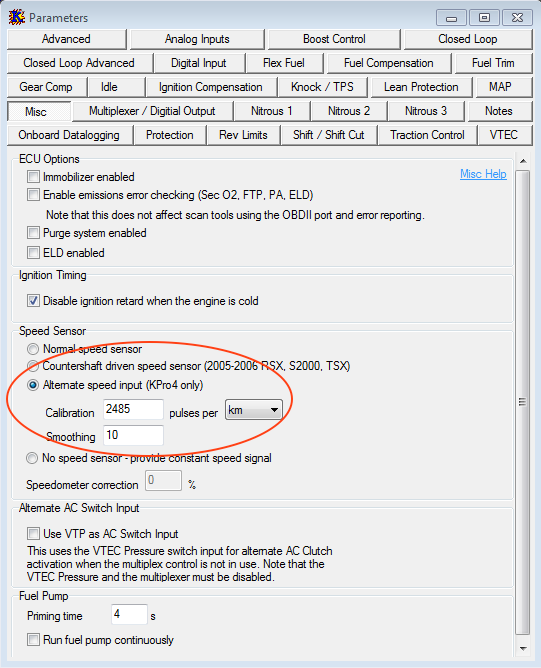 This ECU does not have the necessary outputs to connect to the 05-06 MT RSX wiring. Will this ECU work with cruise control? Will this ECU drive all the supported nitrous outputs?